Imagine the thrill of flying over the largest alpine lake in North America at one of the most beautiful places in the world while joining in matrimony. 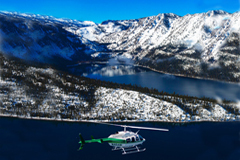 Though slightly unconventional, an adventurous helicopter wedding inflight over Lake Tahoe would ardently yield an enlivening experience for the bride and groom searching for an extraordinary way to begin their new lives together. The sights of Lake Tahoe from the air are nothing less than phenomenal, spectacular derivatives produced from pledging your love in midair. 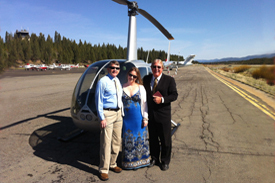 The matrimonial journey begins at the airport located in South Lake Tahoe. You’ll board a secure aircraft designed to seat the bride and groom, the minister, and the pilot. Once liftoff is underway, the exceptionalism of the glittery landscape becomes evident. As the ascent continues, the sights to the horizon will construct an indescribable ambiance. The ritual begins once a comfortable flying altitude is reached, with the vow and ring exchange occurring while rocketing through the sky. At the conclusion of the ceremony, the first kiss as husband and wife will be consummated at heights of the clouds. The remainder of the voyage is spent enjoying the eye-catching scenery as newlyweds. Besides witnessing the dramatic deep blue water characteristic of Lake Tahoe that includes 72 circumferential miles of multicolored shoreline, you’ll also catch sight of the lofty bluff of illustrious Emerald Bay, the protuberant landmark situated on the east side of the lake identified as Cave Rock, and the rock-strewn formations found along the beach of Zephyr Cove. 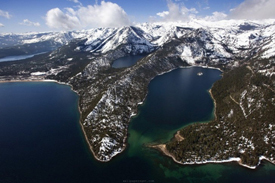 The striking Sierra Nevada Mountain Range that towers over and encases these magnificent compositions is an additional exposition that will add appreciably to the enjoyment of your flight over this resplendent body of water. 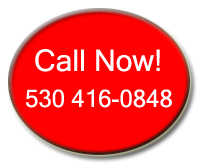 Marrying the person of your dreams airborne over impressive Lake Tahoe is truly an exploit worth considering, especially if you’re an audacious pair looking for an unusual way to stride down the aisle of matrimony. 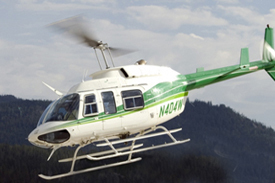 Helicopter weddings occur throughout the year, and flights over the mountainous mere possess a distinctive quality that varies with the changing seasons. Similar to the individuality of seasonal change, having a ceremony in the sky will also be a unique encounter, a voyage that will deliver a lasting impression on a very special day. This entry was posted in Wedding Ideas and Tips. Bookmark the permalink.